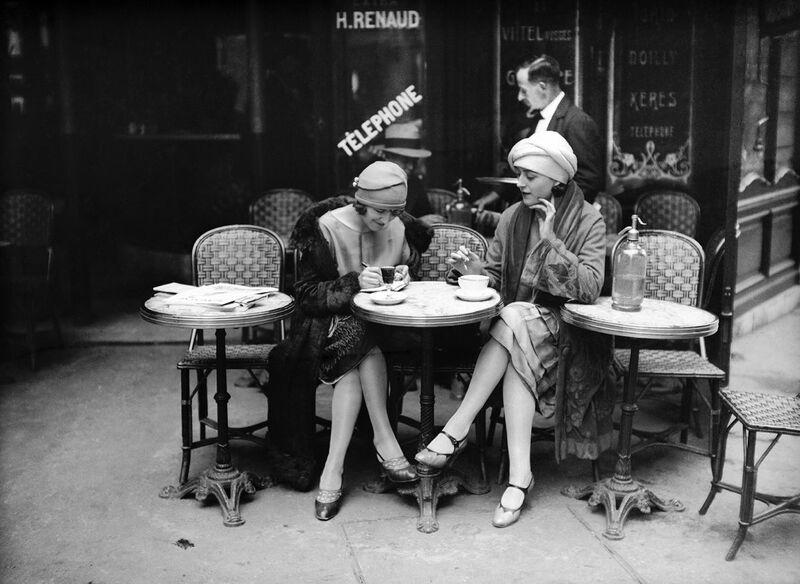 Solita Solano (1888–1975, an American writer, poet and journalist) and Djuna Barnes (1892–1982, an American writer and artist) in "Café Le Dome" in Paris, 1925. These fascinating photographs were taken by Maurice Branger (1874–1950). 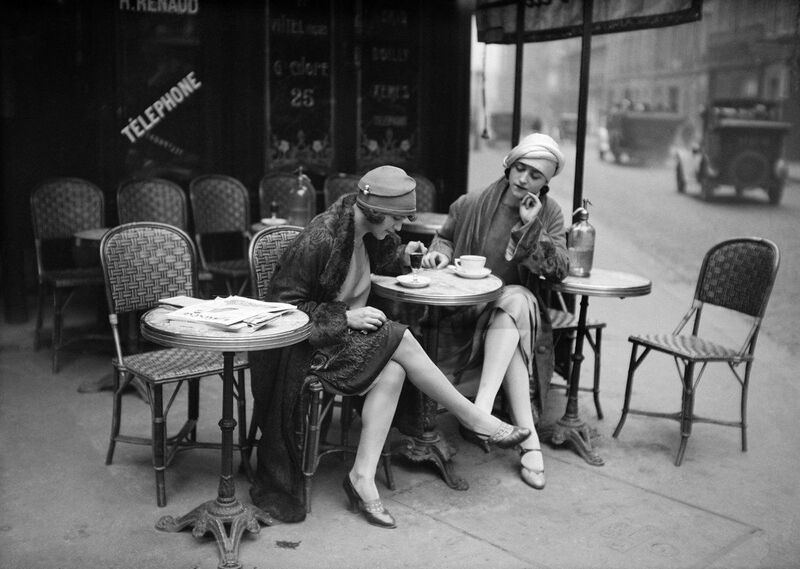 Maurice-Louis Branger was born in Fontainebleau in 1874 and started his career as a photographer in 1895. In 1905 he created his ‘Photopresse’ photo reportage agency at 5 Rue Cambon, a side road adjacent to the central Tuileries Gardens, in Paris. He was a versatile and almost hyper-active photographer, covering the main events of Paris life, most famously the flood of 1910, but also criminal affairs and trials, cultural and political life and numerous sporting events. He seems to have developed a particular taste for pioneering motor sport events from 1902, and he followed this majestic subject Internationally until 1914. He earned particular prominence for his work from the battlefields in the First World War, and later returned to covering trials and political life in Paris. Having survived a second World War, he died in 1950, in Mantes la Jolie.